We are highly energetic, passionate & motivating Fitness Instructors, Personal Trainers, STOTT Reformer Trainers, Front Desk / Reception and Daycare Staff that are experienced, well trained, and carry only the highest levels of certifications. Lucky lady to be part of such a wonderful group of Women!! • Many workshops in CORE, Boxing, TRX, Kettlebell, Bosu, Trampoline, Battleropes and more. 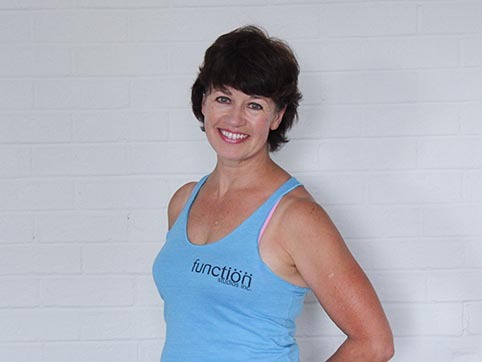 As a Certified Personal Trainer, Stott Pilates trainer, and Group Fitness instructor and certified MMA trainer, I have had the amazing privilege of working with the Function Studio’s Team. 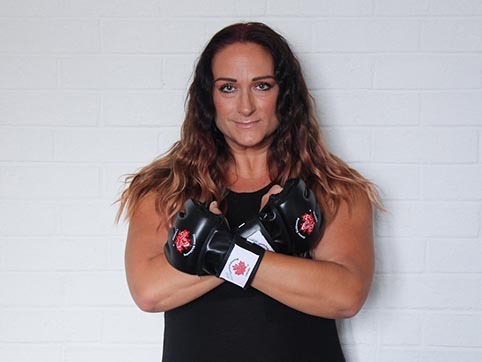 Whether it is Spin, Functional Strength, Interval, Fist, Pump, MMA Fitness Conditioning or Core you are looking for, my commitment is to motivate and challenge you every time! 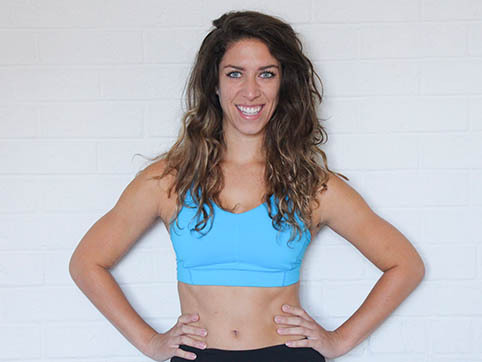 Instructor/Trainer to many of our local Toronto celebrities/athletes, the name Victoria is synonymous with physical performance results and advanced body transformation. She does not take “I can’t” for an answer is available at Function Tuesdays from 10:30am-4:00pm for private and semi-private strength training. Additionally, Victoria is Stott Reformer Pilates instructor/trainer. Hi! I am a Trainer and Group X instructor. Fitness is my passion and I have been involved since the early eighties. I have a dance degree from York University and specialize in teaching Scottish Highland Dance. In fitness, I love working one on one with clients and seeing them progress to their highest potential. My Group Fitness classes include Step, Pump, Barre, ROW, Zumba, Masala Bhangna (Indian Dance) and most recently Country Heat Live! I love working here at Function because it really is my happy place! Joanne Kemp received her Cycle Reebok training certificate in 2003. She has been teaching for Function Studios since 2010. Michelle received Cycle Reebok teaching certificate in 2009 . She has always made fitness a big part of her daily routine and looks forward to making your cardio workout fun and challenging! 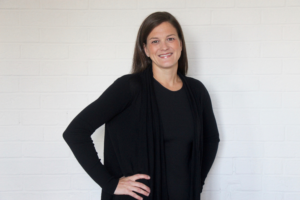 Jenny has been a certified fitness instructor for 25 years and is passionate about helping clients reach their fitness goals through group fitness. Jenny has a background in dance and equestrian sports. 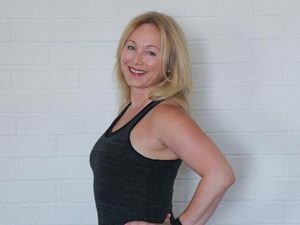 Teaching many styles of group fitness classes over the years, Jenny continues to bring her energy, enthusiasm and caring approach to every class. She truly understands that each client is an individual with individual fitness needs and wants. Since taking my first Zumba class I’ve been hooked on the latin dance inspired fitness craze. After taking time off to raise a family I am thrilled to be part of the Functon Studios team.  I have over 25 years dance experience in ballet, jazz, tap and flamenco and graduated with a Bachelor of Fine Arts (Dance) from York University. Combining a great cardio workout with easy to follow latin dance steps, Zumba is a great way to get in shape and most of all, it’s FUN! My love for health and fitness started as a teenager. Upon moving to York Region in the late 90’s, I started actively striving to reach my personal fitness goals. After having two children, my goals were to get myself back into shape and eventually share my passion for fitness with others. Acting on this revelation, I became certified as a personal trainer and spin instructor in April 2011. My ultimate goal is to provide clients with the best in personal fitness and health. I have continued to attend the Can fit Pro conferences to be knowledgeable and up to date on current trends and practices in fitness and wellness. My commitment to health and well-being has not only inspired me to help myself but also to help others achieve their personal fitness goals. Hi everyone! Last Fall I completed my Keiser M3 foundations course, and they haven’t been able to get me off the bike since!! I have been working at Function Studios since they opened their doors 7 years ago. I have gone from being a receptionist part-time, to full-time, to being the Manager of Function for the last 2 and a half years. It has been very fun and exciting for me to take on another aspect of the fitness industry. Growing up, I was a competitive dancer so since I was little I have enjoyed groovin’ to all different kinds of music. I take great pleasure in playing around and exploring different music to make the best playlist for every class I teach. Looking forward to having you ladies in my bike classes where I can promise you a good sweat, a great time and bumpin’ music! Sami’s background was in competitive dance, and began her fitness career by becoming a personal trainer to train young competitive dancers to keep their bodies prepared for the demands of competitive dance. 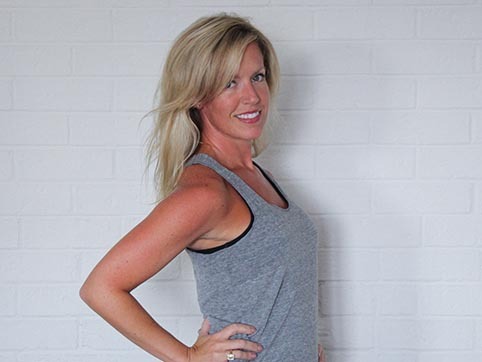 Since then, Sami has become a STOTT Pilates Reformer trainer, Boot Camp trainer, and a Barre instructor. After several years of battling obesity, depression & anxiety; I truly believe I found myself and my dream job! I am not the same person I was 20 years ago, or even last week for that matter. I believe life is about growth, lessons and self love! Function has given me the opportunity to recognize that, to train harder, to reach my personal and career goals! The best part of it is; everyday I get stronger mentally and physically so I can be the best kind of role model to my children, my clients and my peers! Kickboxing has always been a constant passion in my life! There isn’t a better feeling than putting on a pair of gloves and hitting a bag! I am Certified Fitness Kickboxing and MMA Conditioning Specialist, Personal Trainer and a Certified CYCLE ONE Instructor. Life is a journey, a blessing and a roller coaster ride all in one! So Ladies….put on a pair of gloves, roll up your sleeves and meet me on the bag, we can work it out together!! Brittany Brie’s experience, passion for movement and love of helping others have all driven her to develop classes that inspire, challenge and motivate. As a graduate of York University’s Dance program, Brittany Brie learned the significance of caring for her body. As a professional dancer, she quickly realized that the demands of her craft required not only a conditioned body but a healthy, focused mind as well. In 2014, Brittany Brie put her dance career on hold in order to further pursue another passion: health & fitness. She has completed her Mat and Reformer certification through Body Harmonics. On a more serious note Brittany Brie loves cupcakes, anything pink, rnb music and a really good belly laugh. My passion for sports and fitness began at age 4, when I started playing soccer. I have been involved in a variety of team and individual sports ever since. In university I pursued and achieved a degree in Kinesiology, which has helped me to better understand human movement and exercise physiology. After trying out a few of the ‘big’ gyms, I finally found my happy place at Function. I quickly became a fixture in most of Function’s spin classes, so I worked to receive my Keiser M3 foundations course certification in late 2014. I am thrilled to be part of such an amazing team of instructors and members at the best gym around! Henny began her yoga journey a number of years ago and has made a career transition from the business world to the alternative health field. Henny received her yoga instructor’s certification from Kripalu Yoga School. She decided upon Kripalu yoga as it embraces different forms of yoga – making it the Yoga of Life. Kripalu yoga can be taught to incorporate all levels and she is currently focusing on a Yin Yang and vinyasa flow to help build strength, flexibility, balance and introversion. Physical and mental age is a direct reflection of spine and joint flexibility and Henny’s routines make sure yoga gives you these gains without pain. Henny is a Registered Holistic Nutritionist and also works with Reiki healing. As a small business partner with my husband, I went looking for some balance, something that would nourish my soul. So I became certified as a trampoline coach and went from jumping to stillness as I realized very quickly that Yoga was the path I was meant to be on. I received my 200 RYT at Hot Yoga Aurora and went on to do another 100 Anusara Immersion with the best yoga couple ever Todd Norian and Ann Greene, I’m not sure I’m done yet…:) I am grateful to have so many yoga mentors, too many to list. My curiosity about life and my quest for deeper knowledge, began at a very young age and has been a life-long study of travel, yoga, spiritual studies from Buddhism to Native American teachings, Reiki, Polarity, Reflexology and many other healing modalities to which I have gained knowledge and training throughout my journey and to which I incorporate into many of my teachings and workshops. 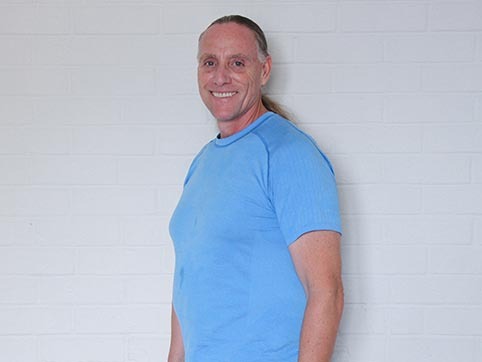 I have been involved in the practice and study of yoga for over twenty years and embrace several different styles and teachings of yoga which have given me greater understanding of my own path. Yoga has influenced and assisted me in my own personal well being physically, mentally, emotionally and spiritually and I am always open to sharing my teachings. I am a passionate free-spirited yoga instructor, nature lover, energy healer and artist, who is grateful for the opportunity to help others expand and forge a strong practice of Mind, Body & Spirit as we collectively unite and grow. Jane knew from a young age, when she experienced a painful spine injury, that all the modalities of healing were important – mental, physical, emotional and energetic – and when she joined them together, she was able to heal herself. In this journey of healing, Jane began to take a keen interest in yoga.Her unique yoga style is influenced by nature – singing birds, gusting winds, rushing streams, and the sacred geometry of the human body and the way it emits frequency through certain sequences of poses, telling a beautiful story to the universe! This is why Jane’s classes are always filled with a combination of unusual elements, including ancient Vedic scripts, modern masters, and her divine students that she is continually learning from. Releasing physical restraints, removing mental blocks, and exhausting muscular tension to a complete relaxation will lead you to the silence of your mind and allow you to meet your true inner self.With Jane’s music and math background, she is able to construct an intense yet relaxing yoga session integrated with professional voicing techniques, which creates a healing atmosphere and expands your level of consciousness, releasing patterns of negative imprints from the mind. Come on out and allow your mind and body to experience peace, joy, and harmony! Debbie’s practice began at age sixteen while recovering from a serious spinal injury. On a path to both physical and emotional recovery she immediately developed passion and dedication. After a few years, Debbie earned her teaching credentials through Frog Lotus International in Costa Rica. She now carries additional certifications in Pilates, Rainbow Kids Yoga, Thai Yoga Massage, Usui Reiki, and the list continues to grow. She has trained with advanced and inspirational instructors such as Vindya Heisel, Annie Carpenter, and Tiffany Cruickshank. Debbie works with students of all ages and levels. Her goal as an instructor is to help students find contentment and bliss through their on mat experience while encouraging students embrace each and every step of the journey.Come on out and allow your mind and body to experience peace, joy, and harmony! I first started practicing yoga in 2007, first as a way to rehabilitate from numerous sports injuries and later as way to reduce stress and mental fatigue. After several years as a student, I decided to take the next step of entering yoga teacher training. Leaving the fast-paced corporate world behind, I now teach at several yoga Studios. With body and mind now renewed and refreshed, I enjoy interacting with and working with students of all ages and levels. I am constantly trying to expand and improve my own practice, both in terms of the asanas and expanding my meditation. Working with students has opened my eyes to the fact that they teach me as much as I teach them. Being both a certified personal trainer and nutrition specialist helps me bring those areas into my student’s practices and needs. I am currently expanding my acroyoga practice with the goal of becoming certified as an acroyoga teacher. I am also certified in Thai Yoga Massage, which gives me a much greater range of adjustments to perform on students both during and after their practice. Little known fact: All of the readings I do in class are self-authored. I’m grateful that I started yoga at a young age and have continue it throughout my life. I feel yoga has given me the tools to bring me inner peace and inner joy. My routines are coordinated to open the mind and body, thorough deep stretching, developing flexibility, balance and inner and outer strength. Everybody is encouraged in my classes to their ability in a safe manner making your yoga class challenging and restful.